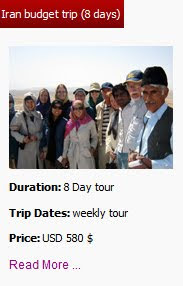 Uppersia Iran Travel blog: "Nakhjir eco-lodge"
“Nakhjir eco-lodge”, founded in 2015, is located in Naraaq city of Markazi province (central Iran). This hundred-year-old house is constructed exactly on principals of Persian architecture style. The rooms, which are surrounding the yard, are equipped with cooling and heating system and the whole eco-lodge is capable of receiving 15 to 25 guests. You can choose to sleep on beds or on old-style mattresses. “Nakhjir eco-lodge” has a nice yard with old trees and a small blue pool at the center. You can seat on old benches in the yard and enjoy the old Iranian atmosphere. While you are staying in “Nakhjir eco-lodge” you can visit different attractions of Naraaq which is a historical city. 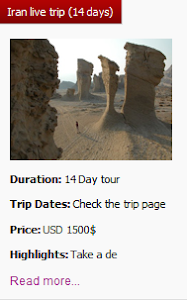 The old district, including old houses, Jaame mosque, Ab-Anbar (water reservoir), bazar and caravanserai are historical attractions and Gisu waterfall, Jasb wildlife refuge and Nakhjir cave are natural attractions of Naraaq. 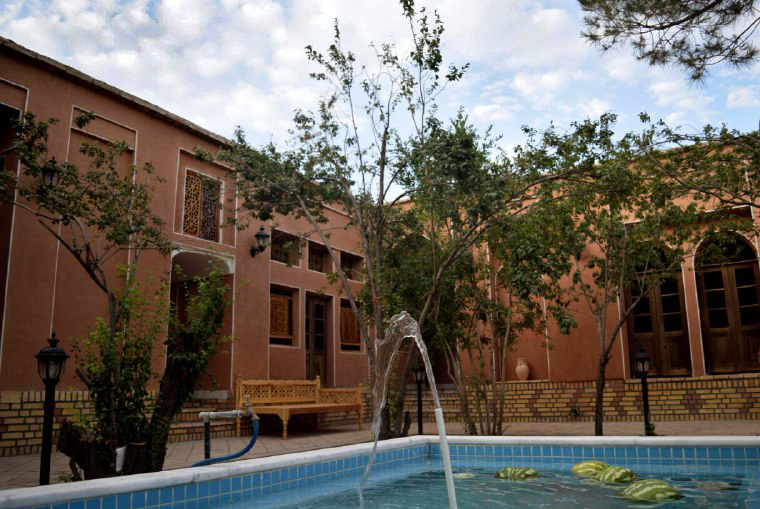 “Nakhjir eco-lodge” is focused on serving traditional cuisines, like Kashko bademjan (eggplant and whey), Gheymeh (spilt peas and lamb stew), Ghorme sabzi (vegetable and lamb stew) and other Iranian cuisines which are prepared with organic and healthy ingredients. Promoting the cultural and traditional ethics of Naraaq and reviving old Iranian costumes have been the main goals of founding this eco-lodge and you can touch old Iranian lifestyle in this peaceful eco-lodge. The beautiful yard of "Nakhjir eco-lodge". A bedroom in "Nakhjir eco-lodge". The ancient heritages of Khajeh Mount. Golden springs of Badab- e Surt! 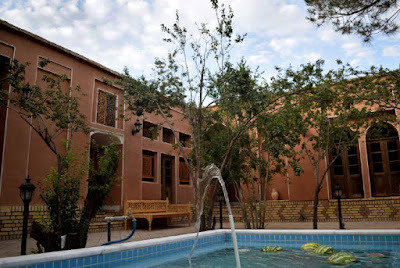 "Rivas eco-lodge" in Meymand, Kerman. Hormoz is land of colors! 27 September is World Tourism Day! 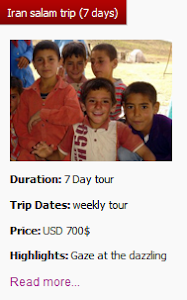 "Shafi Abad", a desert eco-camp in Lut. The land of heights and Kurdish myths! Pieces of paradise on the ground! A desert getaway in Mesr! Stepping through the weird caves of Iran. A home for Damavand climbers. Sheikh Safi eddin’s tomb, a home to generosity. Back to 3200 BC, in Shahr- e Sukhte. "Khoone Geli", a cozy eco-lodge in the north. 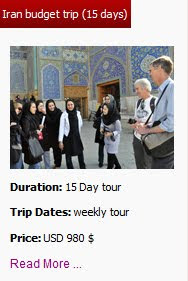 Direct flights from London to Tehran. 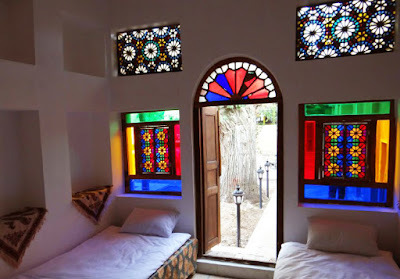 Meymand eco-lodge with 12000 year old rooms!